At Priest Ranch, we are curious about everything around us. Our passion for adventure is expressed in everything from our varietal selection to our tasting experiences. In our Gallery, we will share with you some our favorite findings. 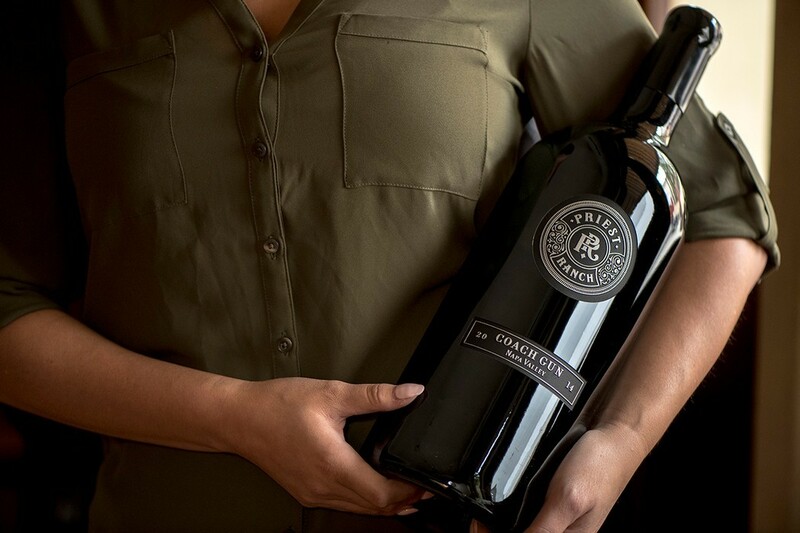 What recipe pairs best with our Napa Valley Cabernet Sauvignon? How to plan a day in wine country? When should you visit to experience harvest? Where are the best local hikes? Check back often to the explore more of the unexpected Napa Valley with us. What will be your next #UncommonAdventure! The Priest Ranch Dessert Wine is the perfect ending to any meal. This wine is fortified with brandy when it reaches 15 degrees Brix to completely stop fermentation and then barrel aged in neutral French oak barrels for four years. This wine tastes like a vintage Port! The aromas are elevated and full of bright red fruit with rich dark color. The palate is full of sweet cherries, plums and balanced with sweetness and acidity. Find our current vintage here. What is Double Barrel? 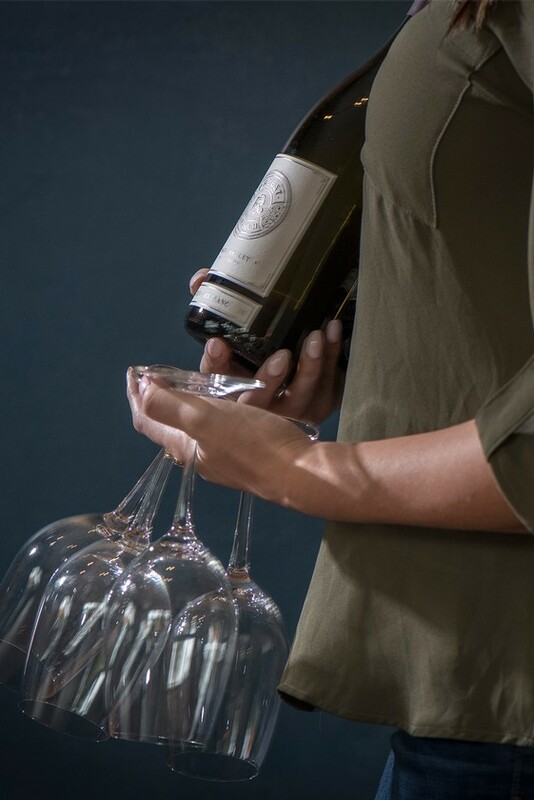 Double Barrel is a wine that was created by our winemaking team in 2013. The 50/50 blend has changed with each vintage, but the style has always remained the same. 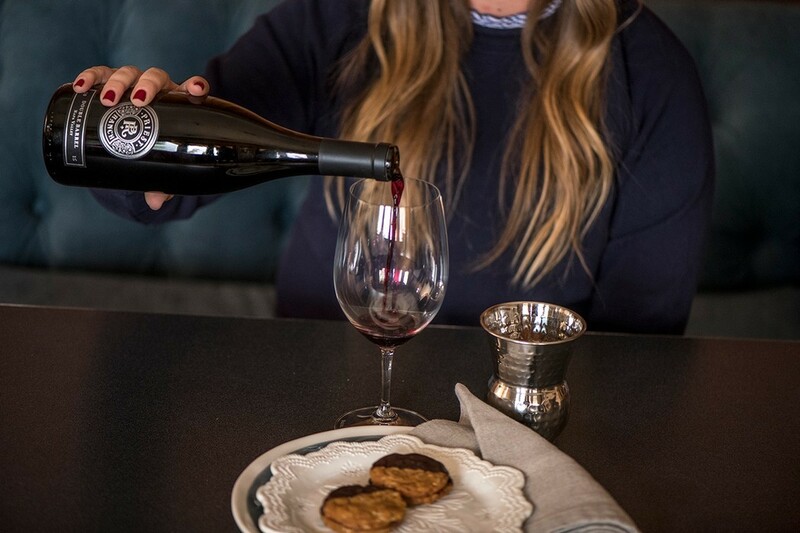 This approachable and food-friendly wine has become a favorite among both members and locals, so think of this wine the next time you're looking for something unique to bring to the next gathering of cohorts. Two barrels, one wine! Find out more about our current vintage here. Make this delicious Fine Chopped Chimichurri with Priest Ranch Olive Oil and serve it with the Slow Smoked & Grilled Bone-In Ribeye at your next large gathering. This simple recipe is the perfect addition to most grilled meats and vegetables. Add a bottle of your favorite Priest Ranch wine and your meal is complete. "I love to slow smoke my meats over an open fire, letting the protein just kiss the smoke. It obtains the beautiful flavors of the wood it is being cooked with. Pure magic." - Chef Erik Hangman. 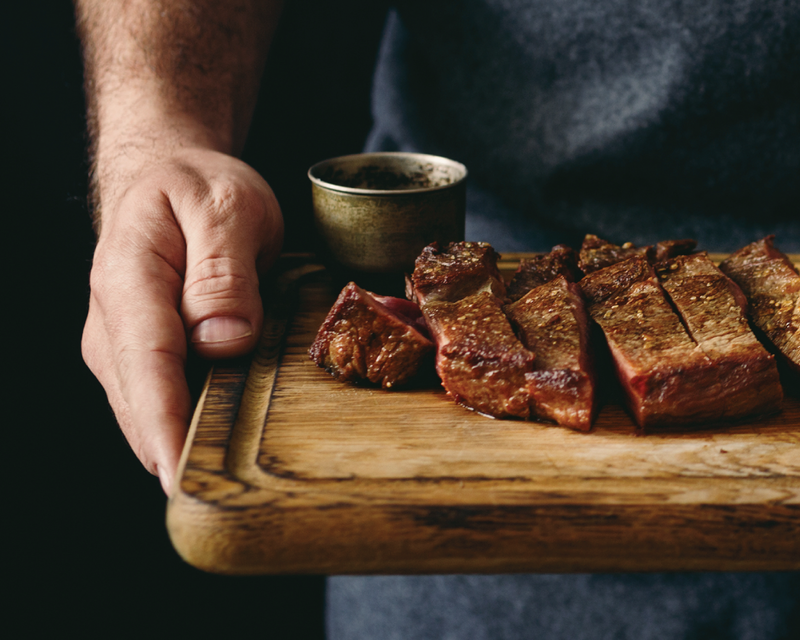 This slow smoked and grilled bone-in ribeye recipe from Chef Erik Hangman is the perfect pairing for a large selection of Priest Rach red wines. Both the Priest Ranch Cabernet Sauvignon and the Priest Ranch Coach Gun are guaranteed to enhance your next grilled steak! Enjoy Chef Erik's recipe served with chimichurri and flatbread. 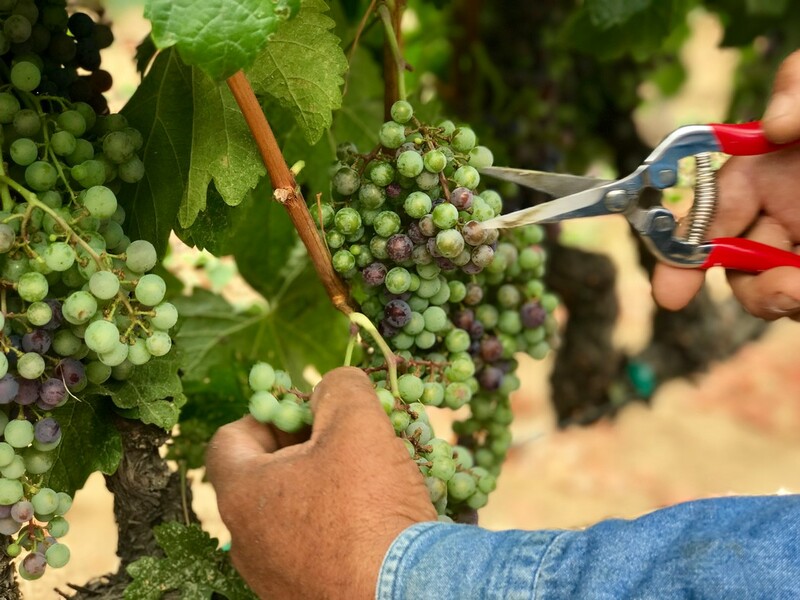 As a producer of Napa Valley Grenache Blanc since we began making wine in 2008, there is one question we get asked repeatedly - What is Grenache Blanc? Because this varietal is used more often for blending than not, most of us have probably consumed it without even knowing. This white wine varietal is thought to have originated as a mutation of the red Grenache. It is a Rhône varietal that tends to be high in acid with hints of citrus and minerality. Find out more about ours here. The original Priest Ranch estate was established in 1869 by James Joshua Priest, a Gold Rush prospector. 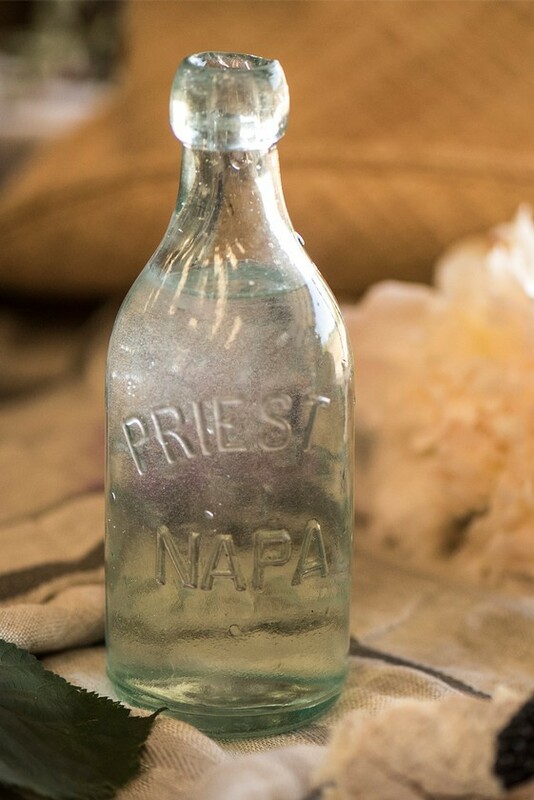 A few years after settling the estate, the Priest family worked with Calistoga Water to bottle Priest Natural Soda Water. This bottle and many more can still be found at the estate when hiking the 1,650-acre property. Visit us in Yountville to learn more about the history of Priest Ranch. How did #CabernetDay start? At Priest Ranch, we aren't quite sure. But what we can tell you is that it began on August 30th, 2014 and it's not limited to only Cabernet Sauvignon. 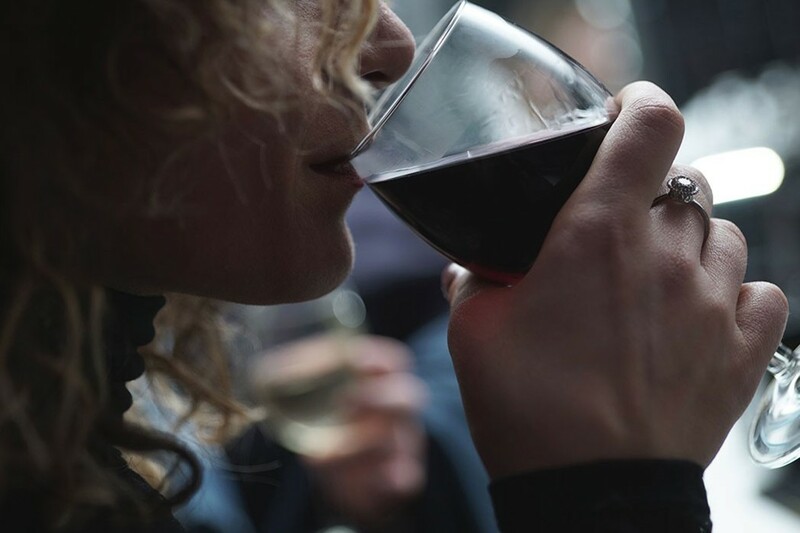 Whether you are a fan of Cabernet Sauvignon, Cabernet Franc, Cabernet Pfeffer or Cabernet blends, it is a great excuse to gather all your wine-loving friends and share your favorite one. All of our wines come from our estate, Somerston, located high in the eastern hills of Napa Valley. With elevations ranging from 800 feet to 1,650 feet, our vineyards are located in a prime growing region for Bordeaux varietals. Explore our selection of Cabernet Sauvignon here. This flatbread, along with chimichurri and grilled seasonal vegetables are a great side dish when making the Slow Smoked & Grilled Bone-In Ribeye. 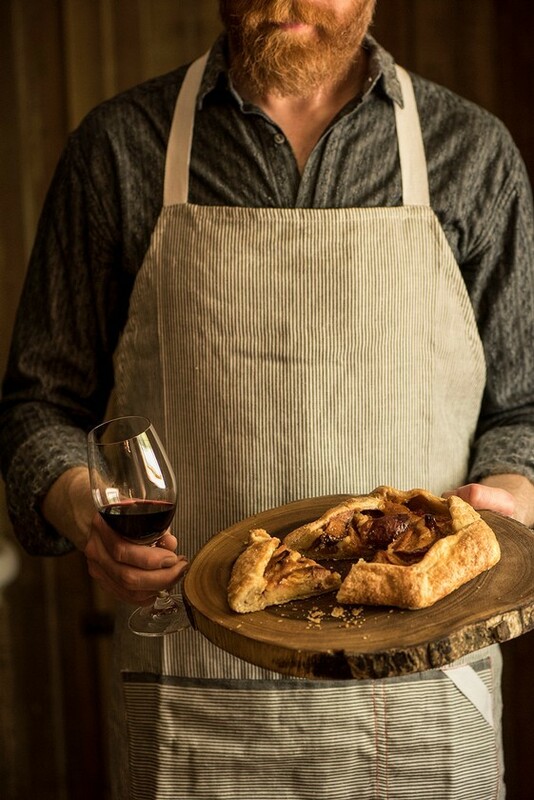 Serve them with your favorite Priest Ranch wine for the perfect wine country dinner. Chef Erik prepared this during our Master Craftsman series while teaching guests how to grill the perfect steak. 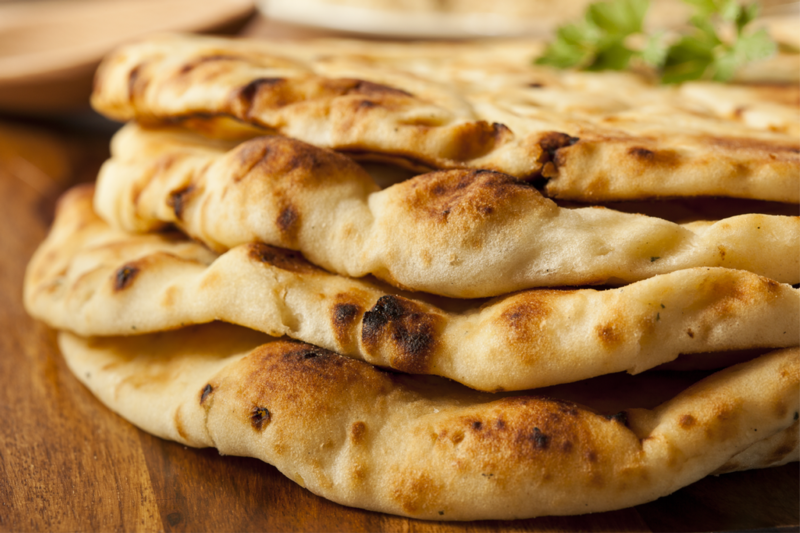 Try using the flatbread as an accompaniment on your next cheese board or pile on your favorite toppings for a homemade pizza. Each year we harvest the olives at our estate to bring you the Priest Ranch Olive Oil. 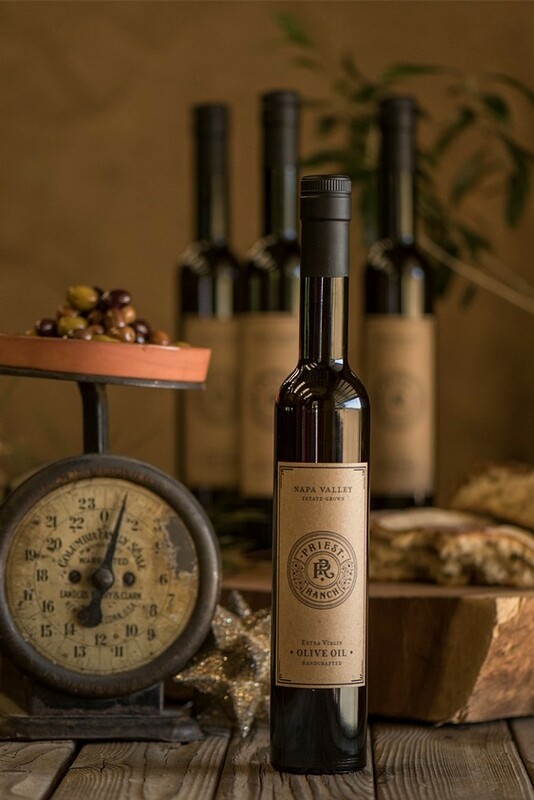 This Napa Valley olive oil is the perfect addition to your kitchen staples. 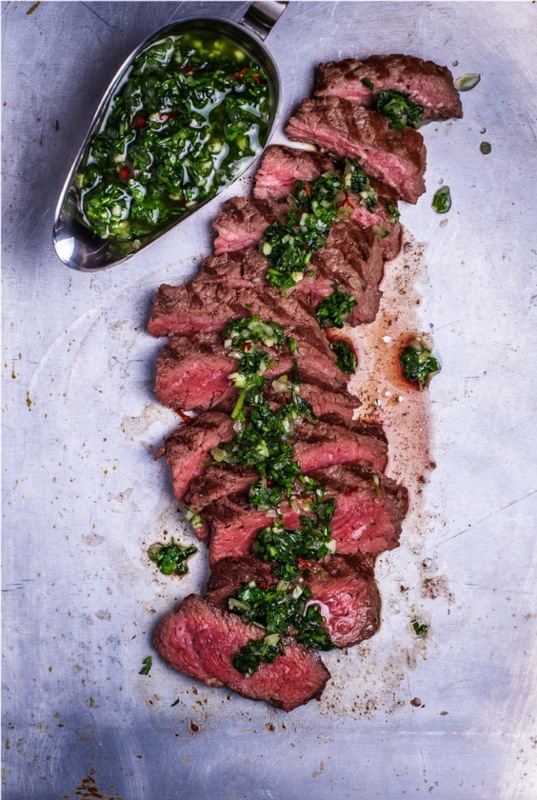 It's excellent in Chef Erik's Finely Chopped Chimichurri recipe or on its own with a baguette. Our Olive Oil is available in a gift set year-round online, or you can call our tasting room at (707) 944-8200 or email us to acquire. With Coach Gun, our flagship red wine, we showcase the beauty of blending. When the individual wines are brought together as a blend they create a consistently balanced wine, no matter the vintage. This Bordeaux blend is made with the collector in mind. Guarantee your allocation of Coach Gun by becoming a member of The Guild. Veraison marks the onset of ripening, and the fruit naturally begins to sweeten. The change in color that occurs is visible throughout our 215 acres of vineyards. The cooler nights at our elevations cause the fruit to ripen slower than fruit grown on the valley floor.